One thing I love about Dublin is how you can come across something new, random and interesting every time you take a stroll through the city. Today I spotter an exhibition to the Katyn Massacre outside a beautiful church on High Street, that is obviously popular with the Polish community. In 1940, Stalin had the entire officer class of the Polish Army (that had been captured by the Red Army after the Nazi Soviet Pact) exterminated. 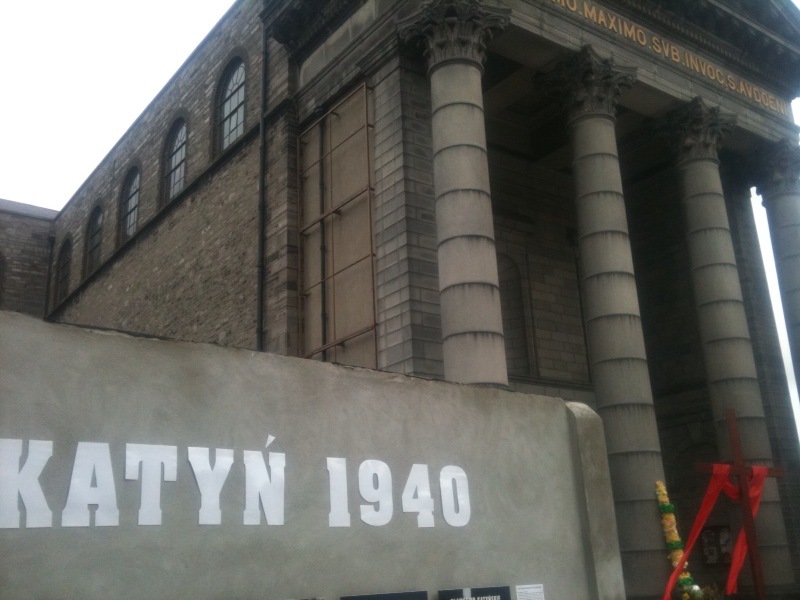 About 20,000 Poles were murdered by the scum of humanity in Stalin's notorious NKVD. Not until the fall of the USSR did the crime become fully understood as the Soviets blamed the killings on the Nazis who invaded the Soviet Union in 1941. Channel 4's foreign correspondent Jonathan Miller who has clearly had enough of the restrictions imposed on journalists in Libya has done a delightful number on his minders in the following brilliant report from Tripoli. This is must see. 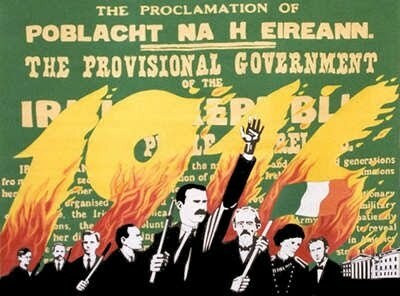 1916 Rising, still a great event ! 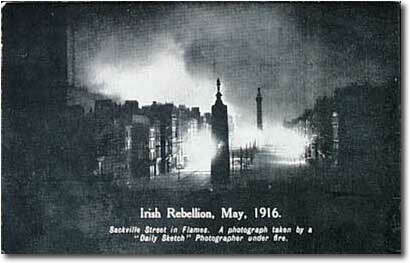 95 years ago today Irish nationalists in Dublin staged a rebellion against British rule. The rising was planned and organised by the Irish Republican Brotherhood and carried out by the Irish Volunteers in conjunction with the Irish Citizen army. The proclamation of the Republic which was read out by Patrick Pearse on the steps of the GPO formed the principles on which the new Irish state would be built. Today the Constitution of Ireland is based on the 1916 proclamation. For decades the men and women who fought in the rising were idolised and immortalised in Ireland. However in more recent times revisionist historians have began to question the wisdom of the rising. This has taken on an added significance since the economic collapse which has led some to argue whether independence from Britain was ever a good thing at all. It is in this context that I want to discuss the rising in order to ask these tough questions and to see if it is apropriate to continue to commemorate the insurrection given the fact that dissident republicans still invoke the rising today as a reason to fight on. 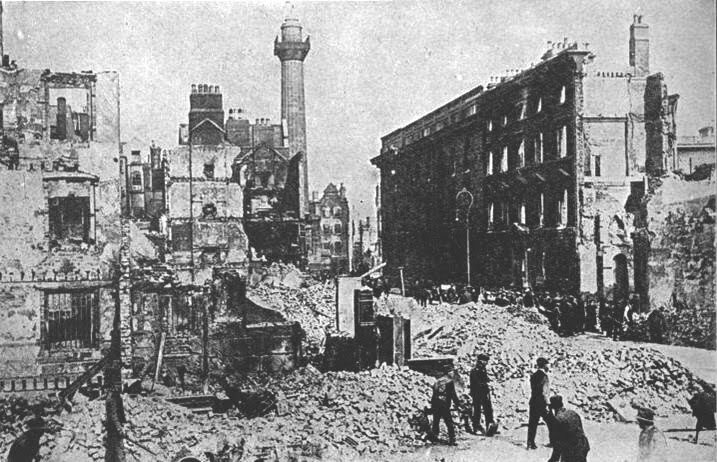 The ruins of O'Connell Street, looking across the bridge from Westmorlan street. British rule over Ireland in the decades before independence was not particularly bad, save the government sanctioned policy during the 1919-21 war of burning the properties of suspected sympathisers which led to the destruction of thousands of homes. 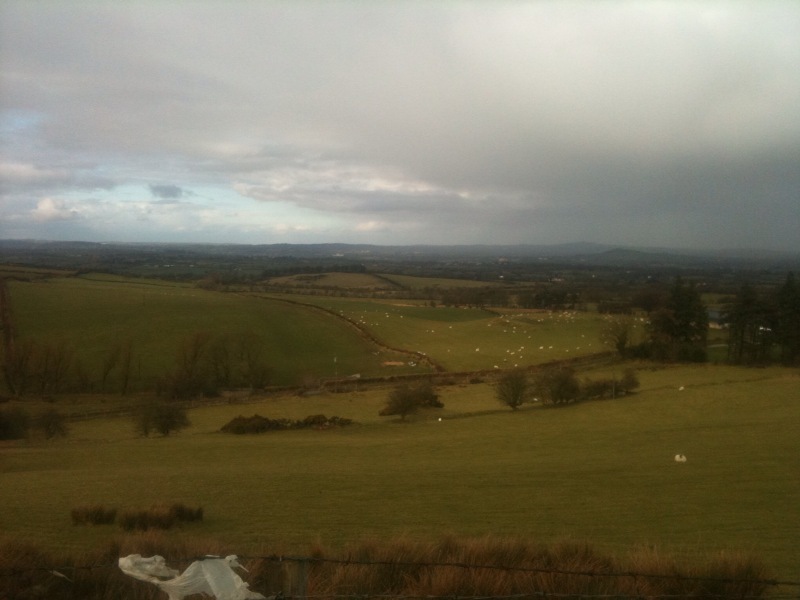 The decades since Parnell's land reforms led to a dramatic improvement in the standard of living among Catholics. However, before the time of Parnell (1880s) and particularly before the time of O'Connell (1840s), British rule of Ireland was utterly tyrannical. And I don't simply mean that in the modern day militant republican sense of the word in which everyone opposed to their agenda is a tyrant. I mean that British rule over Ireland, prior to the Catholic Relief Act of 1829 was Nazi like, where evictions, mass hangings and deliberately inflicted starvation was policy when it came to confronting unrest in Ireland. This was the situation that existed for centuries. This quite naturally left a legacy of nationalist sentiment in Ireland. This sentiment manifested itself in the military uprisings and political revolutions of 1916-1921. When I read the works of revisionist historians like Kevin Myers, their ultimate point always seems to be that they simply wished that this nationalist sentiment didn't exist. Well it does exist because the Irish are humans and like all humans we are tribal and we dislike being dominated by our neighbours. Would we be better of if there had been no rising? I don't know, perhaps! How important is identity, pride and culture? 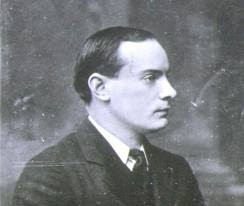 Patrick Pearse was the Chairman of the Provisional Government, set up during the Rising and the first man to be executed in its aftermath. In my view the British lost the right to rule Ireland, even if things had begun to improve. It is important to point out that a Home Rule Bill which would have enable limited self government in Ireland was passed in 1914, despite a mutiny by the British Army who were reluctant to enforce it and an uprising by northern loyalists who imported 100,000 rifles from Germany to resist Home rule. 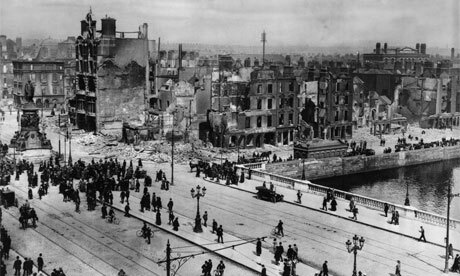 The outbreak of World War One postponed the enactment of the bill and it was at this stage that the Irish Republican Brotherhood said no, no thanks. After centuries of brutal oppression and decades of excruciatingly slow and painful reforms the men and women who planned the 1916 Rising made it clear that we do not want limited self government because we are not British, we are Irish and we want our national independence. The Irish, like all people anywhere, like the people of the Arab World today, were entitled to fight for their freedom. Total independence from Britain was a perfectly legitimate aspiration and it is right today that it remain a source of national pride. The intense fires on O'Connel street could be seen from 30 miles away. What of the dissidents who have so recently committed murder and have threatened to disrupt the Royal Wedding and the upcoming visit of the Queen. Should we disconnect ourselves with the Rising for their sakes. No, because the abuse and misinterpretation of the Rising by dissidents is their problem, not ours. Look at it this way. The BNP in Britain, a racist organisation that condones violence against immigrants, constantly invoke images of the Second World War such as the spitfire or Winston Churchill as a source of British national pride. It's not the second World War that's the problem, it's the BNP. Urging the mainstream to change to discourage extremists is about as logical as saying that we should confront organised crime by preventing people from becoming rich and therefore eliminating greed. The back of the GPO, as seen from Henry Street. I would also like to make the point that as a scholar of the Rising I can confidently argue that the men and women of 1916 would disapprove of the dissident campaign. The 1916 Rising was planned by the IRB, an organisation that would endorse the Anglo Irish Treaty in 1922. 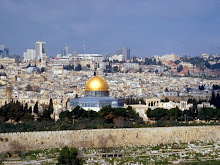 While you can never know what a dead man might have said or done it is very telling that the organisation principally responsible for the Rising would later endorse a settlement that was less then a republic. The free State Army and Government (1922-37) contained many 1916 veterans. According to modern dissident thinking these men were traitors. Ok so what about the 1916 veterans that opposed the treaty like De Valera or Sean Lemass. The vast majority of these eventually entered constitutional politics with Fianna Fail between 1927 and 1932 so I guess these lads were traitors too, or so Republican Sinn Fein would have us believe. James Connolly of the citizen Army likewise, as a socialist he was fiercely anti sectarian and would no doubt disapproved of extreme nationalism. I am actually only aware of one 1916 veteran that continually rejected the democratic process and that was Sean Russell, who ended up in Nazi Germany (where he died) so the Real, Continuity and any other IRA can associate themselves with him all they want. 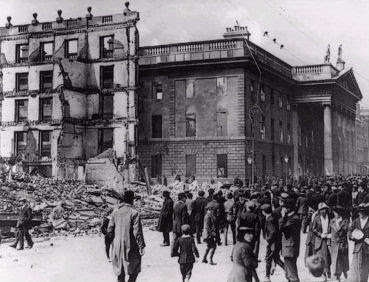 The GPO, after the Rising. But most importantly, we must examine republican thinking on the issue of continuing the struggle. Dissident republicans in my view find their inspiration not in the rising but in a little known or understood event that occurred in December 1938. At a meeting in Dublin, seven surviving TD's from the second Dail (August 1921 until 8 June 1922) made a declaration that power had never been properly transferred from the second to the third Dail (when the Anglo Irish Treaty established the Free State and disestablished the underground Republic) and that the second Dail was still in existence. These highly irresponsible seven individuals signed a document which claimed to transfer the authority of the Dail over to the Army Council of the IRA which in theory provided the IRA with the legitimate authority to carry on the armed struggle. It was this act which has enabled militant republicans for decades to claim, however absurdly that they were and are the legitimate army of the Irish state. This act served as inspiration for all sorts of republican violence for decades to come. The men who launched the S-Plan campaign bombing Britain in the 1940's would draw legitimacy from this as would the men behind the border campaign in the 1950's, the Official IRA in the 60's, the Provisional IRA in the 70's,80's and 90's as well as the Real and Continuity IRA today. It is lazy minded revisionism to blame the rising or its celebration for todays violence. And in truth, most who do so, and I'm looking at you Mr Myers do so because they have always rejected nationalist Ireland, and for one simple reason, because they are unionists. Yes, I said it, most people are familiar with the concept of an Ulster Unionist but there is such a thing as an Irish unionist, and Mr Myers is such a man as are most of his like minded revisionists. And that's fine, Ireland is a free nation where you can be whatever you want but I intend to continue to defend the right of the increasingly sheepish majority to enthusiastically celebrate and commemorate the 1916 Rising. Roll on 2016. This story caught my attention last week. On the second of April the Iranian people celebrated the pre Islamic festival of Sizdah Be-dar or outdoors festival. It should serve as a reminder to all that ancient Iran has a magnificent and fascinating history and culture that pre dates Islam by nearly 2000 years, a fact that does not sit well with many ruling clerics. So much so that they tend to be hostile toward these festivals and have on occasions tried to ban them outright. At a park in western Tehran, men played backgammon or chess, while young women inside makeshift tents could be seen without their head scarves, in a gesture of defiance against the nation's Islamic order. Young men smoked sheesha as families performed line dances while striking tambourines.Security forces were out as well, making sure the celebrations didn't turn into the type of anti-government protests they so fear. Pro-government news outlets and officials have taken to calling the 13th day of the Persian calendar month "The Day of Nature" instead of "Sizdah Bedar," in an attempt to rebrand it away from its pre-Islamic past and anticlerical undertones. It was this Persian spirit that excited me so much during my 2004 trip to Iran to interview students about the unrest that occured the previous year. And it is that spirit that I know will, sooner or later bring down the fascist thocratic regime. President Obama has authorised the deployment to Libya of the lethal unmanned Predator Drones that have proved so effective in the war against Al Quaeda and the Taliban in Afghanistan and Pakistan. My first thought was, what can a UAV Drone do that a jet bomber cannot? The clip below answers that question. This excellent ITV report from Misrata illustrates the lack of progress being made by NATO or rebel forces in Libya and the effect that this is having on civilians. I would highly recommend you view it. An inconclusive and long lasting conflict is a real possibility in Libya. This would be disastrous for the Libyan people as the images from the Misrata siege clearly demonstrate. If this is to be avoided, if partition is an undesirable outcome then a decisive move is required by the allies. We all know what that would be but that would be exceeding the UN mandate authorising the no fly zone. And in any case I think assassination is just a bit taboo these days anyways. So a third option is required. I hope that the British, French and US secret services (my money is on the French DGSE) are making constant efforts to convince some of Gadaffis people to take him on. Otherwise, Misrata will be to this decade what Beirut was to the 80's. London: In one of the heaviest air raids so far in the war 685 Luftwaffe planes bomb the capital. only two nights previously 758 civilians were killed in a raid on Belfast. April would prove one of the costliest months for there British with 4259 fatalities. Greece: In the wake of the German onslaught into South Eastern Europe Churchill announces that the British Army is not in a position to mount a strong defence of Greece. He orders all troops to withdraw to the island of Crete which the British are prepared to fortify and commit considerable resources to protecting. South Atlantic: The German raider Atlantis sinks the Egyptian liner Zamjam taking 220 passengers prisoner. 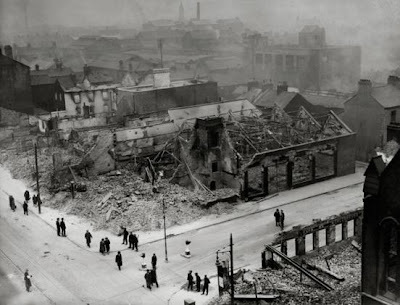 Belfast City after it was bombed by the Luftwaffe of April 15th 1941. And I thought the Royals were no craic ! The Beautiful (if you can excuse the plastic bag left in by the careless photographer) Boyne Valley, from just outside Oldcastle Co Meath. I can't help noticing how this story has been spectacularly under reported over the last week. Richard Goldstone, the South African judge who led the UN investigation into alleged war crimes committed during Israels war with Hamas during December and January 2008-09, has announced that his report, which accused Israel of intentionally targeting innocent civilians should be nullified. 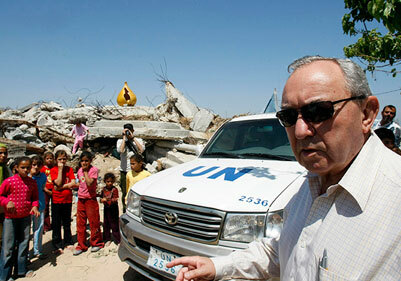 Goldstone has declared that he would not stand by that particular accusation as a result of new information that has come to light following an internal Israeli investigation. This should be an even bigger story in light of the escalation in violence that we have seen in recent days. But surprisingly (or perhaps not) the media and the left are silent. I have very little time for anyone, on any side of the political spectrum who ignores information that does not sit well with them. The Israel bashers who are committed to blaming Israel for everything and deligitimizing it in every conceivable way are the worst offenders in this regard. 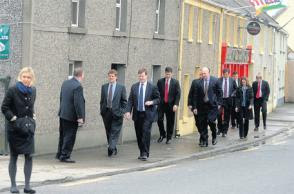 No, it's not the sequel to Reservoir Dogs based in Moneygall Co Offaly, nor is it another remake of Oceans 11. It's the US Secret Service preparing for next months visit of President Obama to his ancestral homeland. I believe they also checked out the local pub. I would give anything to have heard them interacting with the locals. Murder in Omagh, again ! I really can't think of any group that I detest more than the dissident Republicans in the Real and Continuity IRA. 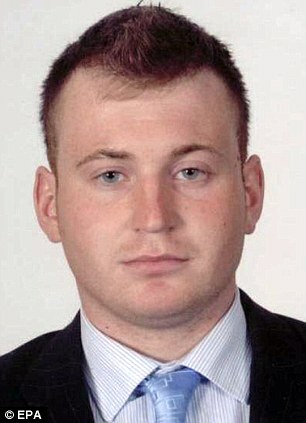 It was such men who murdered 25 year old Police Man Ronan Kerr in Omagh last Saturday. The motive apparently being that he was a Catholic who had betrayed his people by joining the Police Service of Northern Ireland. But Ronan Kerr had not betrayed his people. Quite the opposite in fact. A police force that is respected and trusted by both sides of the community is one of the most essential elements of the Northern Ireland Peace Process. Since police reforms were introduced in 2001 catholic recruitment has increased from 5% to 30%. It takes brave men like Ronan Kerr to step forward to try to make it work rather than those who wish to sit on the side lines and commentate. Why does this still happen? My view, as someone who believes I understand republican thought, is as follows. The late Irish diplomat Connor Cruise O'Brien used to argue the case for a United Ireland, not because he wanted to see it,(he didn't) but because he believed it was ultimately the only way to discontinue the IRA. Not many will admit it, but there are people on all sides who have sympathy with this argument. I believe that a United Ireland is closer to happening than most people realise. The Irish Republic and Northern Ireland have evolved in recent decades to becoming much more similar entities than ever before. This is true economically, culturally and politically. What is needed for it to happen is some sort of final push. Dissident Republicans believe that they are fulfilling that role. Not in a military sense, they know they are not going to beat the British out, take on the PSNI in a full scale war or achieve a United Ireland by force. But they are still committing these murders to remind everybody of what Patrick Pearse said at the funeral of the famous Fenian, O'Donavan Rossa way back in 1915, that "Ireland unfree shall never be at peace". This is why Sinn Fein have not yet used their influence to crush the dissidents, because they believe the RIRA's actions are providing this argument. I believe Sinn Fein want to see dissident violence continue at a low level that can be contained. This may even be true of some of the more republican minded members of the Irish parliament. As someone who wants to see a United Ireland this concerns me greatly. Constitutional republicans should not allow themselves into thinking that even whilst fighting republicans, a low level of violence is tolerable in order to achieve a wider aim. This would be morally wrong. Because it is wrong to gamble with human life. What if there was another Omagh bomb, deliberate or not, what if the patience of the loyalist paramilitaries runs out? What it the troubles were to restart. No, the dissidents should be crushed, and this can only happen when Sinn Fein get proactive. I missed this on Wednesday, which was the 30th anniversary of the assassination attempt of President Reagan. So I thought I would post the original footage of the shooting which is truly shocking. If you slow it down between 8 and 12 seconds you can see the exact line of fire and the four people who were shot including the secret service agent who actually took a bullet for the President. The chaotic aftermath is also quite astonishing.